California may soon have a record-sized battery east of Palm Springs. The proposed electrical power storage unit would more than triple the capacity of the current largest battery in the world, the 100-megawatt Tesla installation in Australia, according to USA Today. Recurrent Energy, a wholly owned subsidiary of Canadian Solar, serves as the parent company’s development arm for solar projects in the United States. Recurrent filed with the federal government for approval to build a 350-megawatt solar power farm east of Palm Springs near the Mule Mountains. The application also requested permission to build a battery capable of storing an equal amount of energy. In all, the proposed Crimson solar project site spans 2,500 acres of public land. Just because the paperwork is in, however, that doesn’t mean the project is a done deal. Federal approval for such a project can take years. Recurrent Energy has not declared that it has a customer lined up to buy the energy. California’s current energy production and usage profile show the wisdom of the proposed project. Extensive solar energy harvesting provides more than enough electricity to meet demands during the day, but the story changes when the sun goes down. Without energy storage facilities or batteries, after sunset, California reverts to natural gas plants to generate electricity. Storage solutions large enough to power large regions haven’t been built fast enough to keep up with the potential of the current solar harvesting installations. “This is something that we’re going to see a lot more of — solar companies baking in the potential, if not the outright installation, of storage into their systems,” GTM Research energy storage analyst Daniel Finn-Foley told USA Today. 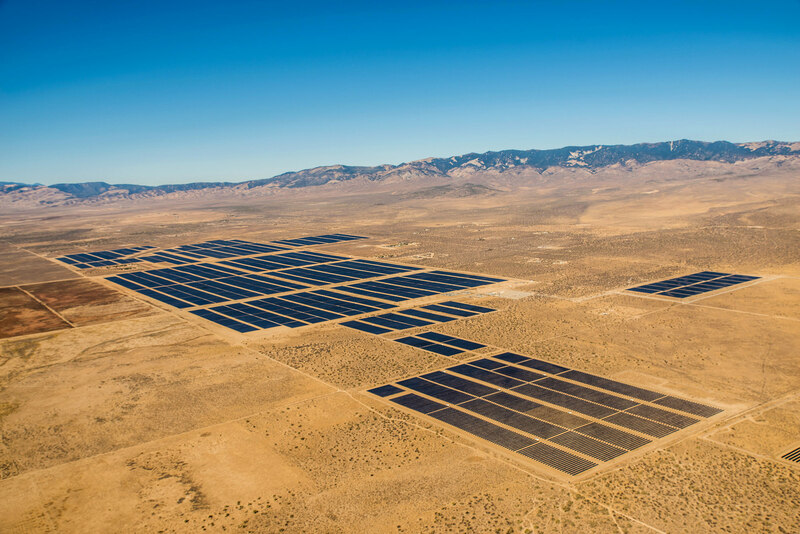 Recurrent Energy has already installed four large solar farms in Riverside County. The Crimson project will be in the same county. Scott Dawson, Recurrent’s director of permitting, outlined the conservation and environmental steps the company took in planning the Crimson solar farm. The plans avoid infringing on the habitat of the species-threatened desert tortoise and disrupt less than five percent of sand dune habitat and woodlands than a previous plan for development. If a utility customer such as Southern California Edison, Pacific Gas and Electric, or a regional government energy program wants to buy energy from the Crimson project, completion is more likely. “If someone wants it, we’ll build it,” Dawson said.